New research from the Yale School of Public Health analyzed more than 1,000 chemicals in fluids used in and created by hydraulic fracturing (fracking), finding that many of the substances have been linked to reproductive and developmental health problems. Further exposure and epidemiological studies are urgently needed to evaluate potential threats to human health from chemicals found in fracking fluids and wastewater created by fracking, said the research team in their paper, published January 6 in the Journal of Exposure Science and Environmental and Epidemiology. The research team evaluated available data on 1,021 chemicals used in fracking, a process that recovers oil and natural gas from deep within the ground by using a mixture of hydraulic-fracturing fluids that can contain hundreds of chemicals. The process creates significant amounts of wastewater and fractures the bedrock, posing a potential threat to both surface water and underground aquifers that supply drinking water, note the researchers. While they lacked definitive information on the toxicity of the majority of the chemicals, the team members analyzed 240 substances and concluded that 157 of them — chemicals such as arsenic, benzene, cadmium, lead, formaldehyde, chlorine, and mercury — were associated with either developmental or reproductive toxicity. Of these, 67 chemicals were of particular concern because they had an existing federal health-based standard or guideline, said the scientists, adding that data on whether levels of chemicals exceeded the guidelines were too limited to assess. Some previous studies have observed associations between proximity to hydraulic fracturing sites and reproductive and developmental problems, but they did not investigate specific chemicals. This latest evaluation could inform the design of future studies by highlighting which chemicals could have the highest probability of health impact, note the researchers. Fracking has increased dramatically in recent years and the practice is expected to grow in the future. It involves drilling into the earth — as deep as two miles — and releasing a high-pressure mixture of water, sand, and chemicals that fracture the rock and release the gas trapped inside. Fracking is now commonly used in the United States and has significantly boosted domestic natural gas production and driven down prices. However, the practice may come with a significant public health consequences, warn critics of fracking, noting that the process has the potential to contaminate drinking water supplies with toxic chemicals. Air pollution, greenhouse gas emissions, and small earth tremors from the drilling and waste disposal processes are also cited as concerns. “We focused on reproductive and developmental toxicity because these effects may be early indicators of environmental hazards. Gaps in our knowledge highlight the need to improve our understanding of the potential adverse effects associated with these compounds,” said Elise Elliott, a public health doctoral student and the paper’s first author. The researchers determined that wastewater produced by fracking may be even more toxic than the fracking fluids themselves. 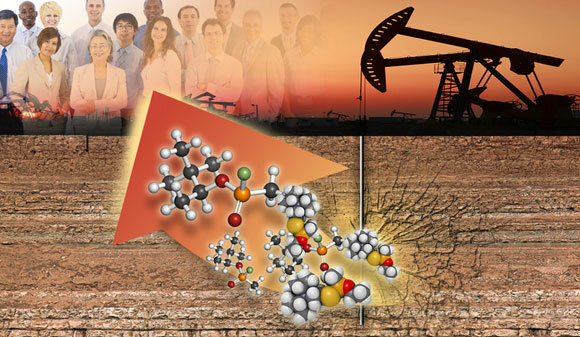 This led the researchers to conclude that more focus is needed to study not just what goes into the well, but what chemicals and by-products are generated during the fracking process. The researchers also noted that the 781 chemicals for which information is currently lacking need to be rigorously analyzed to determine if they pose health threats. In addition to Deziel and Elliott, the research team included Yale School of Public Health Deputy Dean Brian Leaderer; Michael Bracken, the Susan Dwight Bliss Professor of Epidemiology (chronic diseases); and Adrienne Ettinger, an assistant professor at the school when the research was conducted. 2 Comments on "Yale Study Reveals Toxins in Fracking Fluids and Wastewater"
There has been a huge increase in earthquakes reportedly associated with fracking. While almost impossible to prove conclusively, it seems worthy of extreme caution as the fracking liquid will surely reduce friction geologically just as water on pavement will cause a vehicle to hydroplane. Add chemicals that may and probably have contaminated our underground water and we should ask ourselves “should we be doing this as we don’t really need any more gas”. This study is necessary due to the fact that during the presidency of George Bush who was a good old boy from the Texas oil industry, fracking chemicals were made exempt from government regulation to keep the proprietary ingredients safe from “competitors”. It was all a cover up so the industry could pollute at will.